promotion capabilities of world-class agencies. Social media campaign software filled with everything you need to succeed: exemplary content from award-winning writers and branding experts, and the strategy and promotion capabilities of world-class agencies. You have the vision.We help you fund it. proven to make crowdfunding success easy. You just personalize, publish, and promote. No matter what fundraising platform you use, our story-led social media campaign templates are proven to make crowdfunding success easy. Your story-driven template is filled with strategically-crafted example content designed to maximize engagement and contributions. Based on our research of tens of thousands of winning campaigns, simply swap in your own text, images, and videos—we do the rest. 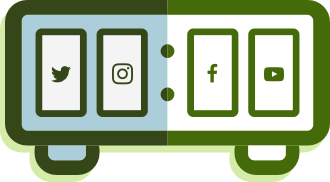 Each post automatically publishes at the best time to engage your audience on Facebook, Twitter, Instagram, and YouTube. Plus, you can respond and reply in real time to multiple platforms from a single dashboard. Convert an entirely new network into contributors with our powerful one-click paid promotion. Our proprietary data leads to greater payoff at any budget. We've brought together some of the world’s best storytellers, social media experts, fundraising consultants, digital marketers, and data scientists, and they’re at your service through a simple to use software. When cutting edge AI is used by an award-winning team, and the minds behind multi-million-dollar campaigns for global brands, hitting and exceeding your crowdfunding goal becomes much easier, more attainable, and affordable. Storyblaster has conferred with crowdfunding consultants and leveraged a crowdfunding and fundraising platforms from thousands of successful campaigns to build a social media marketing strategy. 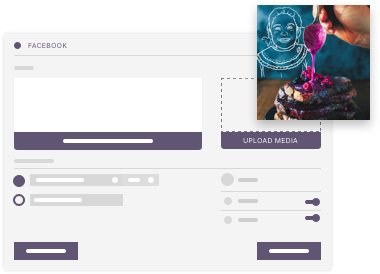 The simple plug and play template around your project will help optimize the content, timing and distribution of posts to create a compelling story and maximize your campaign’s engagement and contributions. Beta users love Storyblaster. See our rave reviews below! Of campaigns using Storyblaster have met or exceeded their goal. Storyblaster has helped raise over $2 million dollars so far. "Storyblaster was paramount to driving the messaging to help us reach our goal. With the million of things you have to keep up with to succeed, strategizing my social media AND running it during the campaign was something I did not have capacity for. But Storyblaster's easy template told me what to say on each platform, when to say it, and helped me easily promote without teaching myself digital ad strategy. It made my campaign easier to manage and effectively communicate my vision all the way across the finish line. 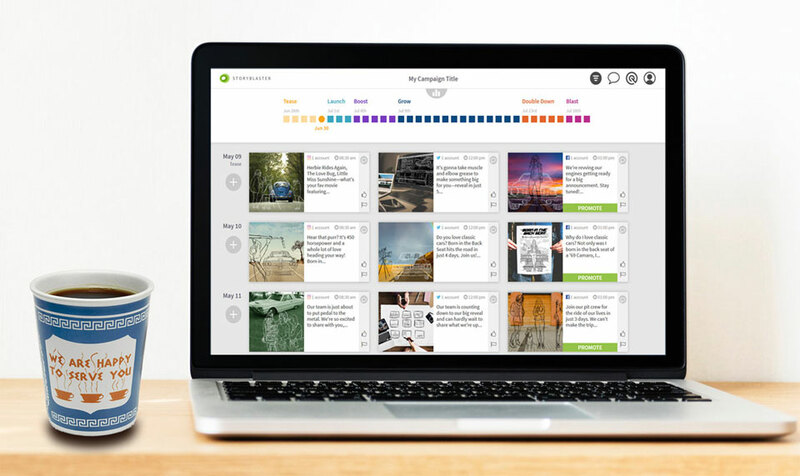 Storyblaster should be the go-to tool for any crowdfunder in order to reach their goal." “Storyblaster is the best social media tool out there for crowdfunding campaigns. "Storyblaster made an impressive impact on our Indiegogo campaign. As a small team, we were in need of a platform that would provide directional, strategic and innovative content and advertising – they did just that! Storyblaster is well-versed in digital marketing, and provided our campaign with an additional 13 conversions! We're looking forward to working with it again!"